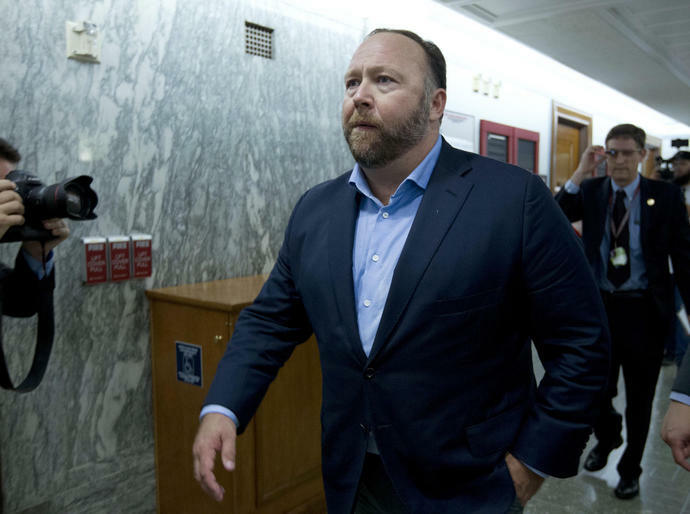 NEW YORK (AP) -- Twitter permanently banned right-wing conspiracy theorist Alex Jones and his Infowars show for abusive behavior, a day after CEO Jack Dorsey testified before Congress about alleged bias against conservatives on the platform. At one point, he said Darcy was "smiling like a possum that crawled out of the rear end of a dead cow. That's what you look like. You look like a possum that got caught doing some really nasty stuff - in my view. You're a public figure too."